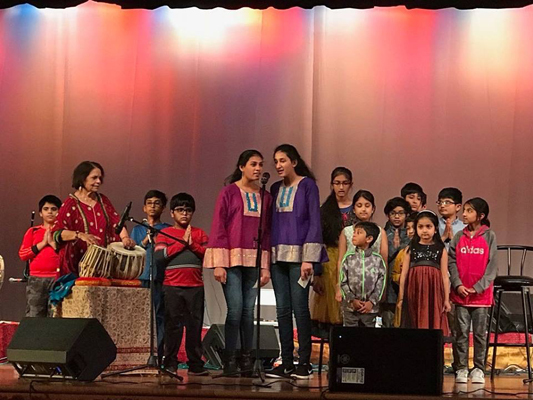 Funds equivalent to support 800+ schools (as on April 21st) were raised through various events and innovative ideas like Ekal Hut, PALM – Gramothan presentation, auctioning of paintings which were donated to Ekal, Musical concerts at various chapters like Pittsburgh, Central NJ, Gaithersburg MG, Mahwan Temple, Cherry Hill South Jersey and mid Atlantic region, Kudos to all the volunteers whose untiring vim and dedication, hard work with assistance and blessings of seniors has taken Ekal one step closer to actualizing the dreams of bringing basic education to every child across rural India. 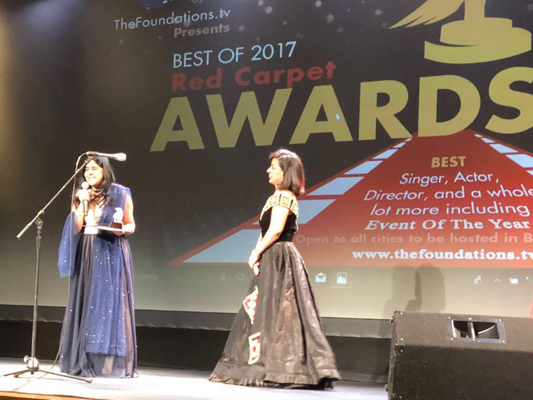 Ekal New England President Smt Parveen Minocha was awarded the Community Service Award at TV’s Red Carpent Foundation event. Ramshankar, aged 21, is from Uttar Pradesh Sitapur District of Kochpur Mishri. His stigma of unemployment was his life. His family suffered from a very bad financial position. When he was doing his second year BA, he met Shri Dinesh (IT Teacher) in Ekal Abhiyan's GRC which is located about 4 kms from his village and was offered computer training at free of cost. Ramshankar completed his 6 months course in which he learnt Paint, Word, Excel, PowerPoint, Data Entry, Internet etc. He got a job too in Najament Science Pharma in Himachal and is currently earning Rs.12000 per month. He inspires many youths in his village and recommend Ekal to them. Balraj Kumar, a former Acharya of Ekal Vidyalaya from 2009 to 2013, from the village Gajipur in Uttar Pradesh, Mirzapur district, is lighting the name of his village and Ekal Abhiyan. This Acharya’s contribution truly makes the Ekal family proud. He attended training class in 2009, which had lot of intellectual sessions about India's glorious history and great men which created an awakening and devotion towards the country. He applied for vacancy in UP Police, but was not selected. But his confidence did not weaken as he remembered the inspirational story taught was that of an ant successfully climbing the wall after many failures, and he knew hard work will prevail one day. When the UP police vacancies in 2013 were declared, he got a golden opportunity. 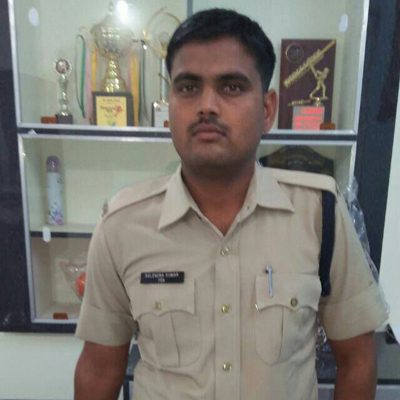 He got selected and gives full credit to Ekal Vidyalaya for the Rhythm of motivation due to which he is a young police today and is proudly serving our country. On 19th April, first Computer Van - Ekal on Wheels - was introduced by FTS Indore chapter. 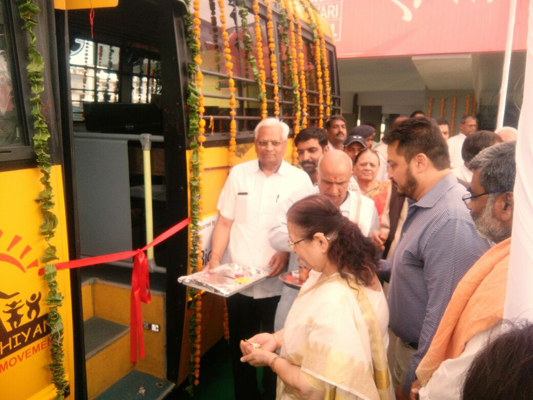 The van was flagged off by Ma.Sumitra Mahajan, Hon'ble Speaker, Lok Sabha in the presence of Smt & Shri Amit Bhandari, donor from USA. Ma Sumitra Mahajan said, the work done for education of children in rural and tribal areas by Friends of Tribals Society (FTS) is very admirable. Training of computer education given to the children of rural and tribal areas and villagers from the scheme through this computer van is commendable. She was happy that this news is conveyed to our Prime Minister Shri Narendra Modi and further added that this venture is collaborative to his initiative of Digital India. 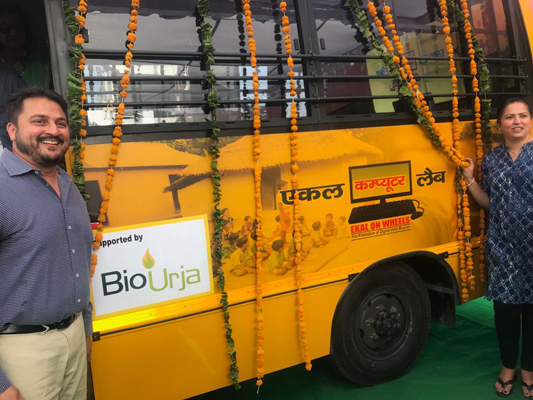 8 computers installed in this computer van and solar systems have been installed for charging them. Two teachers provide computer training to 16 children at a time. 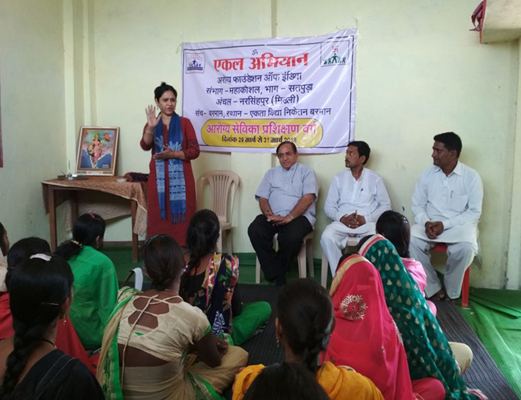 Arogya Sevika training is an important aspect of all the Arogya Foundation Prakalp as they are the actual first contact with the villagers. Hence the training programme of Arogya Sevikas on health subjects was held on 30th and 31st of March’18. The training was attended by 25 Arogya Sevikas who have pledged to work for Midhli project. The training programme was conducted by Dr. Harish Anand & Dr. Sarita Mittal from Delhi. Dignitaries present in the inauguration were Shri Rajendra Lodhi, Shri T. K. Veram along with Dr. Harish Anand & Dr. Sarita Mittal. Shri. Rajendra Lodhi presided and inaugurated the programme with lighting the lamp. The Dignitaries celebrated Ekal concept of Arogya Prakalp, a powerful tool for woman empowerment along with improving their health. 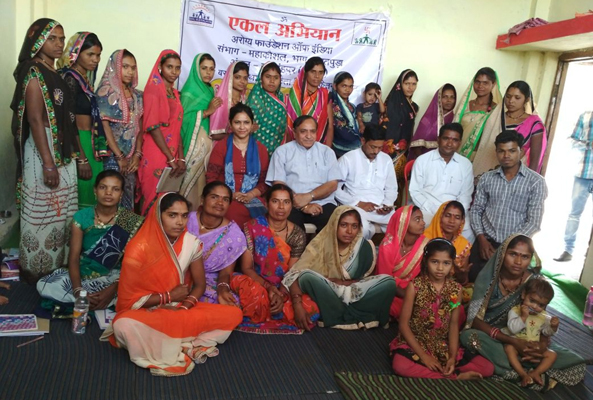 The Arogya Sevikas were also trained on personal hygiene, mother and child care, antenatal care, self-examination of breast for prevention of breast cancer, importance of breast feeding, cleanliness at time of delivery, tools & techniques of inter personal communication & National Health Policy. 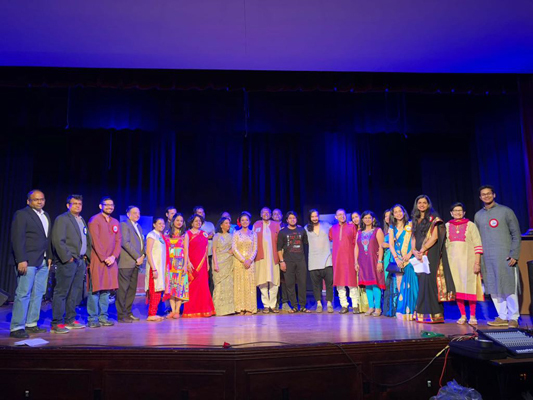 The participants were encouraged to put their best efforts so that they act as agents of health improvement for villagers, to achieve “Clean India, Educated India and Healthy India”. Ms Usha Devi is a native of the most backward and sensitive area of Jammu and Kashmir, TahsilGudo, District of Gonda. 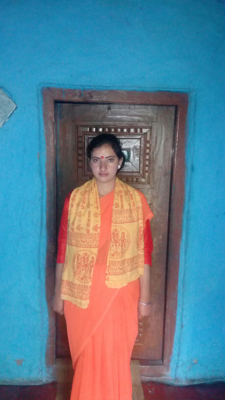 In the year 2017, she was brought to the training center of Shri Ram Katha in Jammu for training. She got first place in her group of 28 sisters. She is the best Kathakar in her field. The credit goes to the Harikatha Yojna. 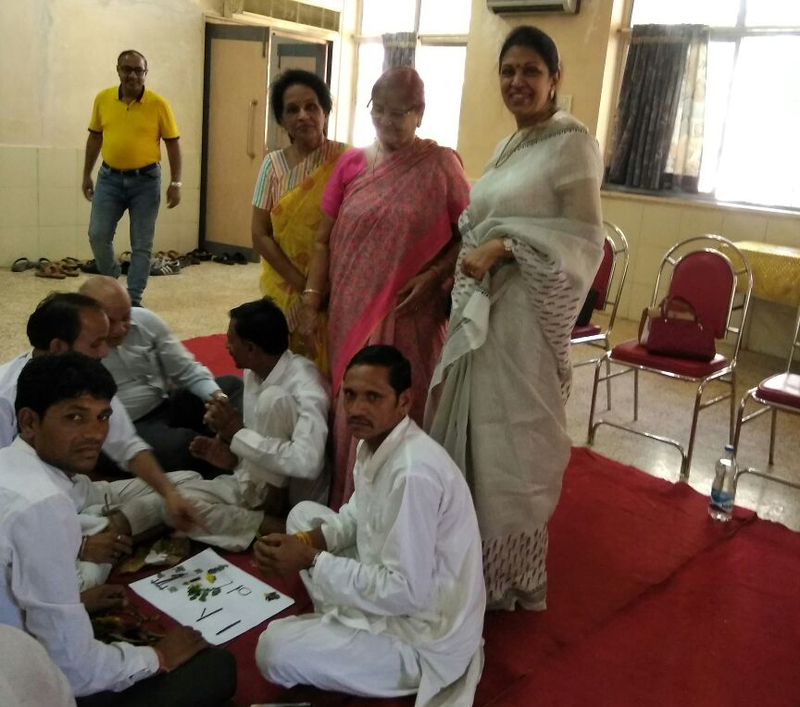 On 28th March 2018, FTS Mumbai members along with Mahila Samiti celebrated Ramnavmi, a religious and traditional festival with great enthusiasm at FTS Mumbai office. Flowers were used in decoration to symbolize the presence of nature amidst the fanfare. The presence of Lord Rama’s photo created an environment of peace and tranquil for all. Members attended this puja in good numbers. Tulsi, flower petals, fruits and mithai were offered to the Lord. 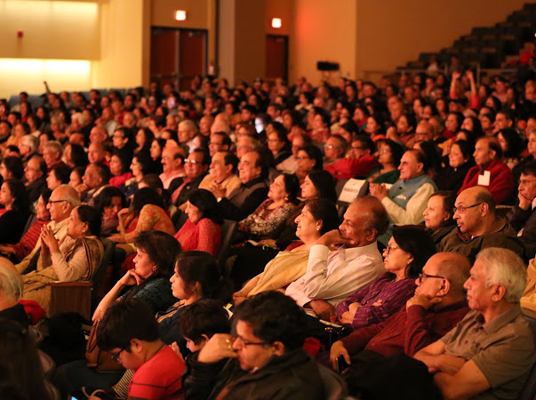 Bhajans and Kirtans filled the ambience with devotion and purity. Everyone joined in Aarti followed by distribution of prasad and lunch. They also celebrated Hanuman Jayanthi on the same day. Members including Mahila samithi of FTS Mumbai visited Naipunya Varg held in Mumbai from 24th to 30th March 2018. Naipunya Vargas was attended by Mahila samiti members also. They sponsored food expenses for the entire varg period, distributed gifts, sweets and Aam ras. 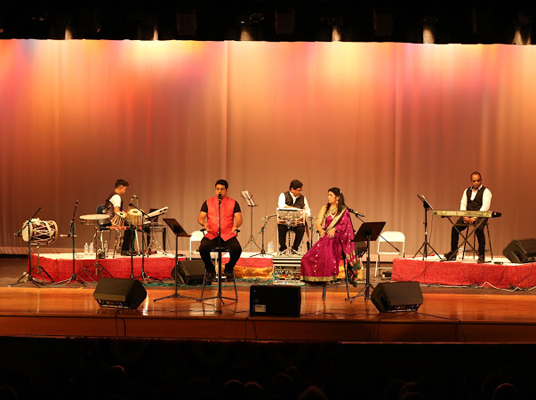 The members enjoyed the experience of meeting the karykartas from Madhyapradesh, Maharashtra and Gujarat . Mumbai Darshan programme was arranged for the 54 karykartas who participated in the varg. Ekal awarded "Social Footprints - National CSR Award for Primary Education provided to the Weaker Society." Ekal Abhiyan is working for deprived sections of Indian society in tribal and rural areas for close to 30 years. 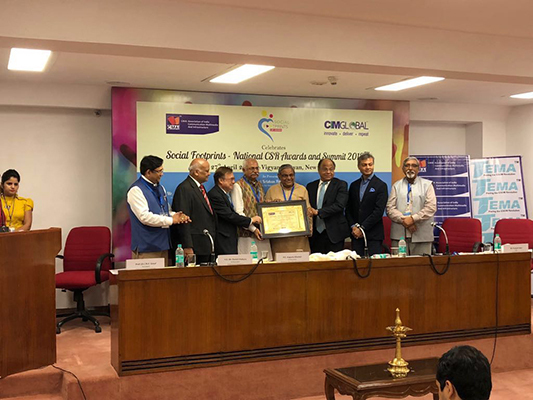 It recently won the prestigious "Social Footprints - National CSR Award for Primary Education provided to the Weaker Society." Tamilnadu sambhag conducted their Kshamata varga 2018 at Sarada Ashram, Ulundurpet from 17th to 23rd April. Over 70 FTWs participated. It was managed well by the SVO samithi. Over 10 samithis were almost there for all days, organizing the varg, taking classes and giving orientation. 1. Before the start of any session, one karyakartha should come forward and share his/her experience within 5 minutes. Since there were higher percentages of new karyakartha, this idea of sharing experience by senior karyakarthas inspired new entrants. d. There were also mock sessions where karyakarthas were asked to speak to gram people to form a samithi. 3. All lessons that need to go to the villages were video shot. This was done so that the participating karyakarthas can review and recollect their lessons if these videos can be delivered to them in some way. 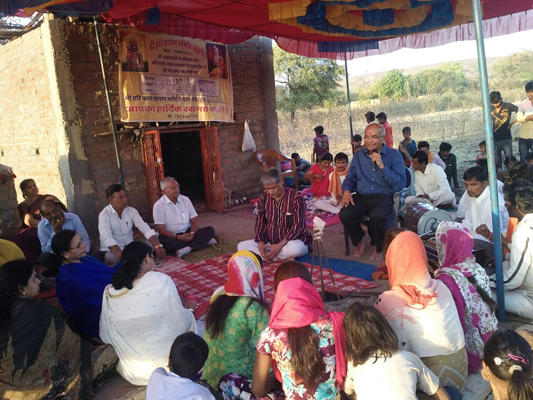 On 23rd and 24th March 2018, Shri Jitendra Bhansali, Ekal Abhiyan Chairman, and Smt Kunjlata Bhasali - Anchal Prabhari of Ratlam, Malwa Madhyabharat visited the Anchal. 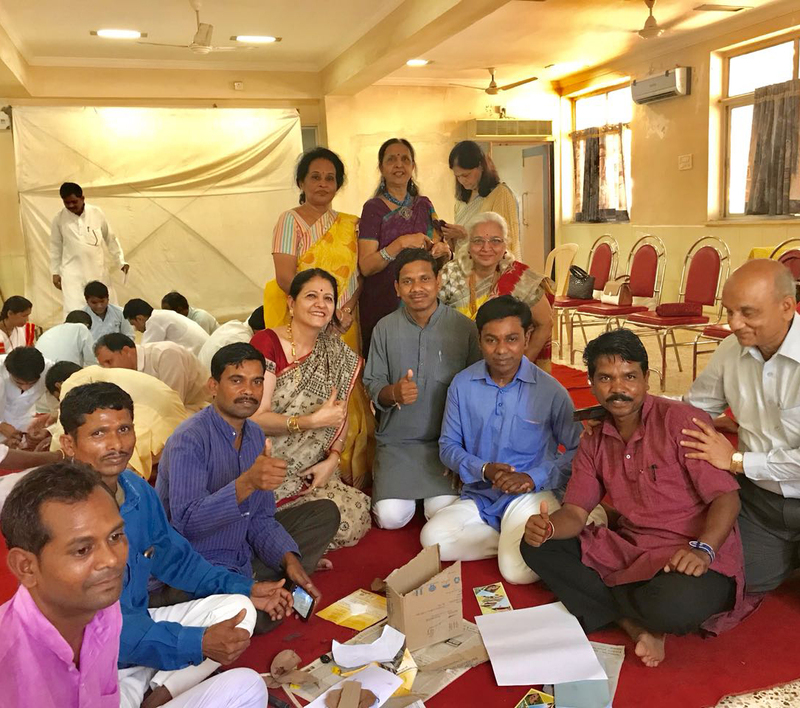 They visited the sewing center which was running successfully under the guidance of Anchal President, Shri Govind Malpani. They also visited computer class and went for vanyatra to Salana Vidyalaya and Bhuri Rundi Vidyalaya, Gram Juna and met the Samiti members. They also visited Sanch Sarwan and met Samiti members. In the evening they enjoyed the Satsang with Shrihari Karyakartas and Samiti. 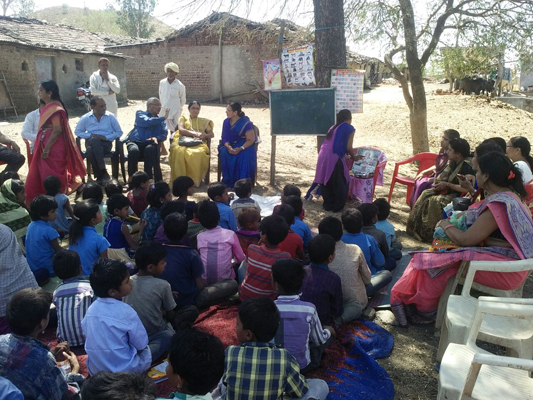 Shri Ramesh Shah along with Shri Jeetubhai Patel, Shri Lalan, Dr Bhatia, Sanjay Malaviya, Sambhag Pramukh Ramesh Valvi, and Sanch level Seva Vriti visited Ekal School in Vekur near Songadh in Tapi district. The Acharya and students were happy and were tested with some math problems. Children were little shy initially. The children wrote their names and their parents name in English. The children were made to watch stories in Tablets. Since the tablets program has started, the teachers need to be trained in Monthly Varg and also let children practice slowly on their own by rotation. The visitors expressed that the visits to villages are more satisfying to see real work on the ground.